A fab party for all to enjoy with disco lights and music, this is a brilliant way to celebrate a birthday. 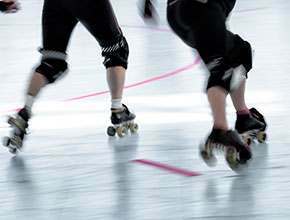 Numbers are limited to size of skates we provide but we are happy for participants to bring their own skates if they have them. Please note this is not an instructed session. 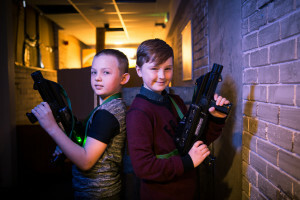 District A laser tag resembles a derelict building with internal mazes, spooky features, neon and strobe lighting. 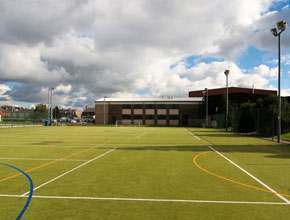 Ideal for children aged 7yrs+ and a maximum number of 20 participants per session. These parties are run by a member of the team and are a great team working experience! 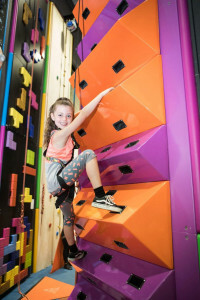 Grip & Go is an action packed indoor climbing experience that can be enjoyed by anyone aged 4 and above. With 23 different climbing aspects and multiple difficulty levels there is something for everyone. Whether you’re a beginner or an experienced climber this is an experience not to be missed. Parties are run by a fully trained member of staff and will last for approximately 90 minutes. This includes a 30 minute safety briefing and 60 minutes of climbing. Our fun-filled football parties can be held inside the centre or outside – ideal for football mad children, with lots of activity based party games run by one of our fully qualified coaches. 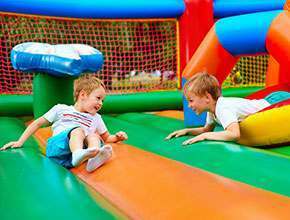 Our bouncy castle parties are ideal for younger children and are suitable for a group of up to 24 people. Stress free for the parents and lots of bouncing fun for the kids.